My 9 year old is learning about Medieval times with her class at School. How fascinating... As a result today she wanted to know exactly what people wore in medieval times (as an aside I remain convinced she will be a fashion designer one day...). So after some diligent Internet research, we came up with all kinds of things Medieval! 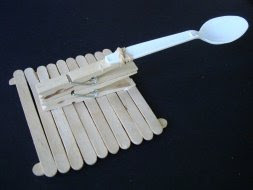 Everything from how to make Medieval food to Shields, Lances, Parchment, Hats, Footwear, Music...and one of the coolest finds was how to make a catapult out of paddle pop sticks some wooden pegs and a plastic spoon. Do we have a Mother's code? 1. Be always available to your children, and forget about the "rest" part until they're at least 9! 2. Stand up for your Children, you are as soft as a Kitten & as ferocious as a Lioness! 3. Be a good example with your actions and your words. 4. Be prepared to GRRRROWL when you have to. 6. Always keep your word. A promise is a Promise! Let your Yes be YES and your No be NO! 7. Be a person of good character! Do the right thing, and apologise if you stuff up. 8. God will bless the work of your hands....whatever that may be. Each chore you do for your family you are also doing for Him. 9. Laugh often! Give Generously! 10. Speak words of Kindness and affirmation. 12. It's never right to do wrong and it's never wrong to do right! Refer to the book of Proverbs Chapter 31 for more details.....so that you too can, as Lysa Terkeurst says... "Let God write your Motherhood story"
Hang in there Honey... You're doing the greatest job in the world!